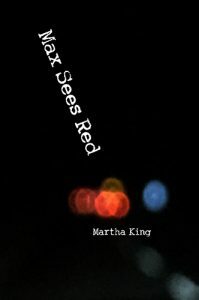 MAX SEES RED — is King’s first-ever novel, a murder mystery in which a painter named Max tries to find out who murdered a young literary editor in her Hudson Valley summer house. One of his oldest friends, an experimental novelist, has bumbled into making himself a prime suspect. The action takes place in the late 1970’s in SoHo bars, lofts, and galleries, and in Dutchess and Hudson counties just north of New York’s suburbia, then a landscape of impoverished small towns and abandoned farms. Artists who have begun to settle there have uneasy relationships with the rural poor and elite establishment landowners, and sometimes encounter a shadow neo-Nazi subculture. The book is populated with painters, sculptors, poets, potters, critics, dealers, and hangers-on, both gay and straight, including newly rich Wall Street patrons and people in the “uptown” world of mainstream publishing. Available now on Amazon and on the Spuyten Duyvil website. Posted on March 30, 2019 by Martha King. This entry was posted in Martha King, News, Prose, Spuyten Duyvil books and tagged Martha King, Spuyten Duyvil Press. Bookmark the permalink.